Discover how to find the right dentist for you! Looking for a dentist can be a challenge. Just the hassle of finding the right provider can deter people away from regularly seeing a dentist. 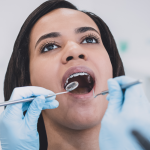 Issues such as convenience of location, scheduling, atmosphere, “bedside” manner, and the cost of dental visits all make finding the perfect dentist a challenge. 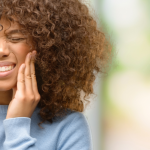 With all of those inconveniences, it’s important to remember that finding the right dentist is an important part of your dental health. You’re looking for a dentist that will help you and your family maintain healthy smiles through checkups, cleanings, and screenings. You also want a dental office that can provide other dental services and can collaborate with other dental professionals to develop the best plan for your individual needs. 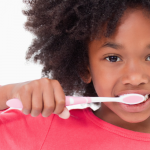 “Your dental health is such a vital part of your overall health, so it’s important for every patient to have a dental home,” said Dr. Cathy Taylor-Osborne, an ADA dentist. Finding the right dentist for you and your family is essential, and we can help you take the next step in your search. What are you looking for in a dentist? Are you more concerned about the location or the hours of operation? Are you in need of a specific dental specialty or do you just want to find a family dentist to make keeping up with appointments easier? 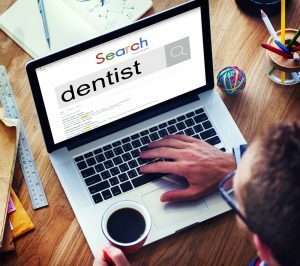 When searching for the right dental office, be sure to think about everything you want and need from a new dentist. Write those requirements down. Figuring out these specifics and getting your priorities organized on paper can help narrow down the next step in your search. Asking friends, family, or coworkers for recommendations. If you have dental benefits, contacting your insurance carrier and see who’s covered by your dental plan. Checking out the American Dental Association’s Find a Dentist tool that allows you to search by name, specialty, and location. Using your local dental association as a resource. If you’re uninsured, looking into dentists or dental services through your local health department. Does the dental office handle dental emergencies outside of regular office hours? Do they offer dental plans or financing options? 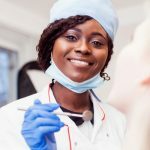 Does the dentist provide prevention techniques to avoid future dental health problems? You may have more questions specific to your needs, but be sure prepare in advance when you go in for a meet and greet. Besides questions, take into consideration the atmosphere of the office and staff. Was it a welcoming and calming atmosphere? Did you feel the dentist took time to answer all your questions and concerns? Did the dentist make you feel comfortable? Was the dental staff friendly? When you choose a dentist, you want to feel comfortable, welcomed, and heard by dentist and the staff. There’s nothing more unpleasant than having a tense relationship with the person who plays such a vital role in your health. Penn Dental Medicine is a dental school clinic that provides low-cost comprehensive dental care with multiple specialists. Our student dentists are in their final years of training and are supervised, trained, and mentored by some of the best professionals in the industry, who are also faculty members at the University of Pennsylvania School of Dental Medicine. When you come to see our student dentists you’ll receive quality care at an affordable cost. Looking for a dentist can be overwhelming, but your search just got easier with Penn Dental Medicine. Please contact us today at 215-898-8965 and find out how you can become a patient.